I don’t know about anyone else but we seem to go through placemats at a rate of knots, one splodge of ketchup here and a spat of chilli there and they seemed stained for ever more and of no use for creating an elegant table. So I have taken to making my own, they are a really simple sewing project for a sewing machine challenged person like myself, plus they are reversible! The best fabric to use is a heavy weight decorating fabric. 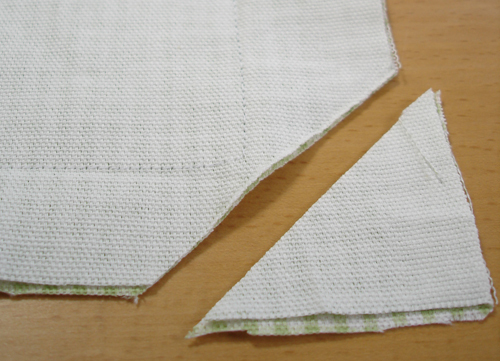 Using an old place mat as a guide cut around it leaving about 1/2 inch seam allowance. 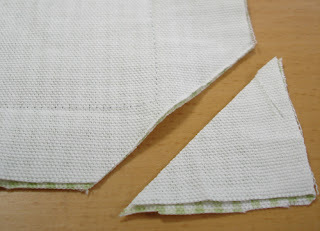 For each place mat you need 2 pieces of fabric. 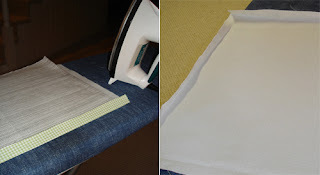 Press each piece of fabric and then using the placement you used for the template fold fabric around its edge and iron. 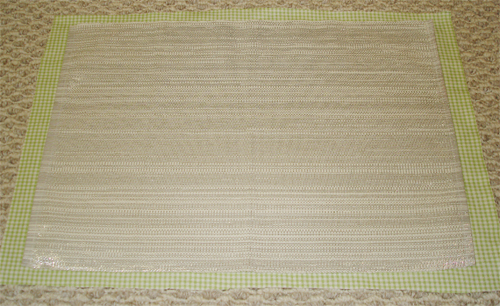 Open up the folds and you are left with nice “invisible lines to sew along, ensuring every mat you make has the same dimension. 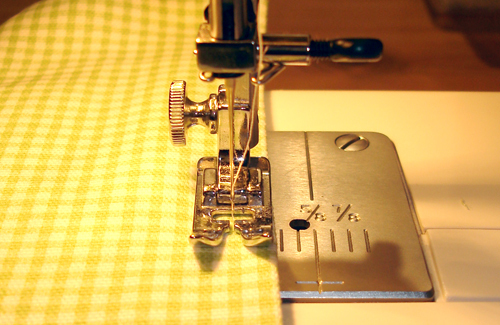 With right sides together sew fabric together, following the creases you created above. Leave about a 4″ gap so you can turn the mat right side out. 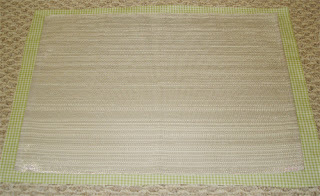 Press the mat again and snip the corners as shown. Turn right side out and press again. Make sure you really push out the corners, a knitting needle can help with this. Using your sewing machine’s foot as a guide, run a line of stitches around the edge of the mat, this give it a much more polished look and also closes the gap left to turn the mat right side out. These are really easy to make and it only took me about an hour to whip up six of them. 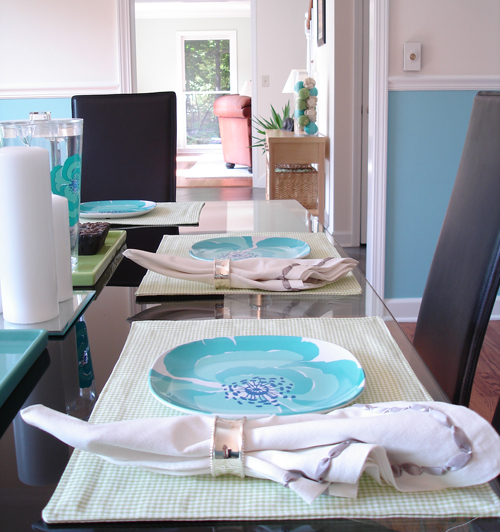 I have some extra fabric from my curtains in my dining room and have been wanting to make some placemats to match but wasn't quite sure how to go about it so this is really helpful!! Thank you! Awesome! Now I feel excited about having placemats for every season 🙂 Thanks! thanks for the tutorial! Thanks so much for linking up to Tuesday Talent Show! I would love to have you stop by and link up again tomorrow with more great projects! Thanks so much for the tutorial, I too am sewing machinge challenged! I have been wanting to make some placemats for christmas but I did not know how to go about it so your tutorial will be really helpful! Thank you! I love the placemats. And, I think I know some people who need them for Christmas. Thanks!